Feature powerful neodymium magnets to hold them securely closed and triple O-ring seals for maximum protection from the elements. Their machined-aluminum precision construction, quick and easy operation, and a low-profile position when open make our flip-back lens covers stand above the rest. 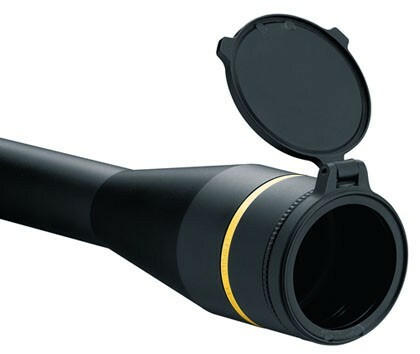 Alumina flip-back lens cover that fits any Leupold (2004 and newer) scope with a 24mm objective.